Our strategy of pruning the whites in the valley (a frost pocket) late, in mid-April, saved them from the worst ravages but for the first time since we’ve been here our reds were hit, both in front of the cave and behind the chateau – undoing some of the previous two years work of installing the plantation there. The resulting burnt leaves and shoots made for depressing viewing during May on my otherwise manageable commute to the winery. Luckily, these parcels had enough vigour to bounce back and while not carrying much fruit the second bud burst at least will give us something to prune this winter. 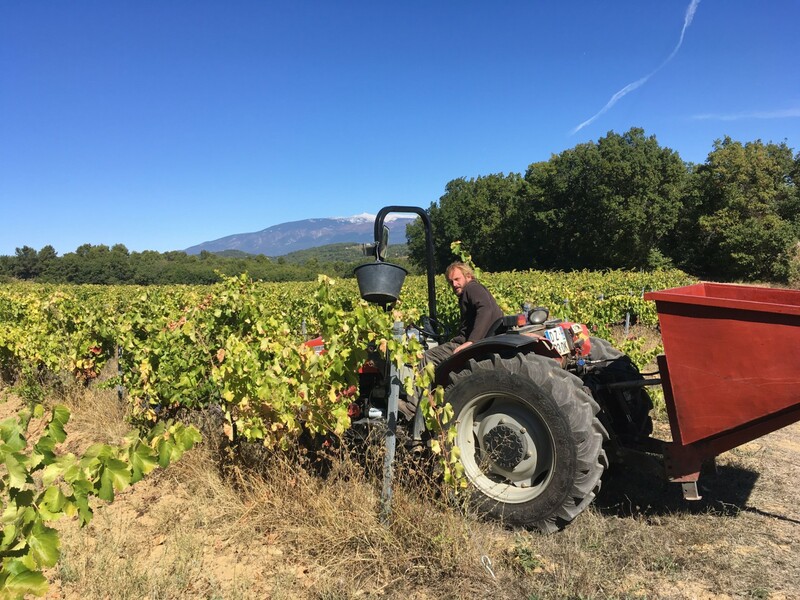 While the frost made for long faces, we did have our plantation of Grenache, Mourvedre and Cinsault, coming on-line this year, as some parts were not frost-affected. The three previous years’ work (and the preceding two years of ground preparation) coming to something tangible. A lack of rain during the growing season meant that disease pressure, of mildew in particular, was low, with fewer treatments required. A new tractor, with air-conditioning and air filtering system, brought us into the 21st Century. Another investment was an expansion of our electric fences which now surround all the 15 hectares of vines – which with our small parcels is a lot of wire. This ‘ring of steel’ kept most but not all of the beasts at bay, a hungry and thirsty 150kg+ beast can crash through most temporary fencing should it wish. We can only upgrade further next year and think how much more would have been consumed by the pigs had the fencing not been up. With a pitiful summer rainfall (6mm in July and 2mm in August, which made the measly 2016 rainfall seem almost plentiful) the vines were clamouring for moisture as we geared up for harvest. 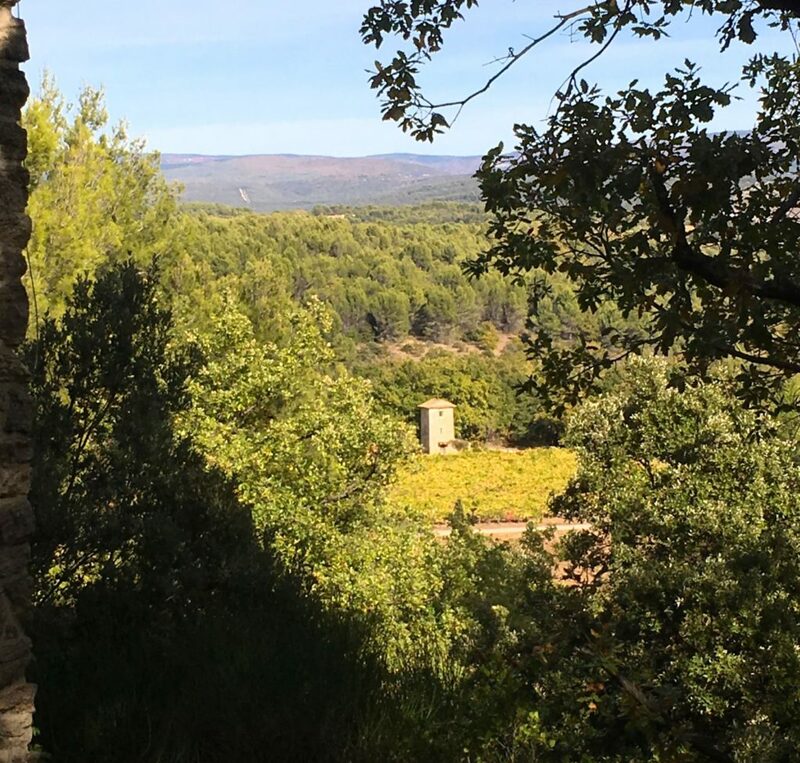 This lack of rain meant some crazily early start dates near Nimes and the Languedoc, where Muscat harvest started on 24th July and many harvests were over before the end of August. 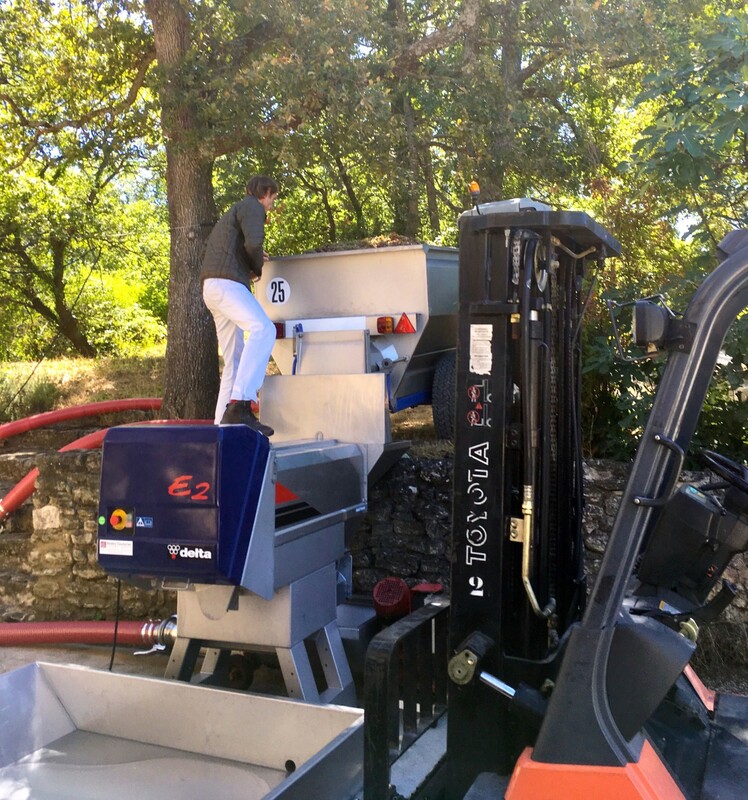 In the Rhone, harvest activity started at the end of August but really got going in the first days of September. Unang, being higher up, meant we started later (on 11th September, while we usually start around the 20th). We finished on October 9th. 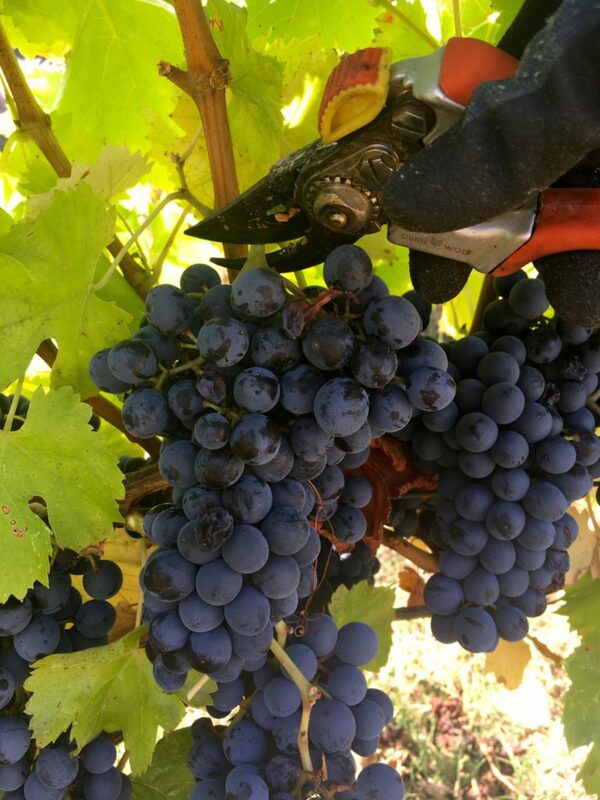 A combination of the dry weather, the frost, as well as shatter on the Grenache and light yields on the Syrah (perhaps due to last year’s dry weather – the vine sets itself in June 2016 for 2017 harvest) meant we hit record lows in terms of yields. Our Roussanne gave us a miserly 8 hectolitres from the hectare of vines, the Syrah was similarly at less than 50% of typical volumes, Grenache did better where not frosted. This was accompanied by much talk of the dry conditions being the ‘new normal’ and greater investment in irrigation systems in the region to compensate. Unang remains 100% ‘dry farmed’. On the back of the dry year of 2016 (volume 25% down on 2015) it means our wine stocks are looking particularly meek, and the cellar noticeably empty. For 2017 we are around 40% down on 2015 despite a larger growing area due to the plantation. These are grim stats! 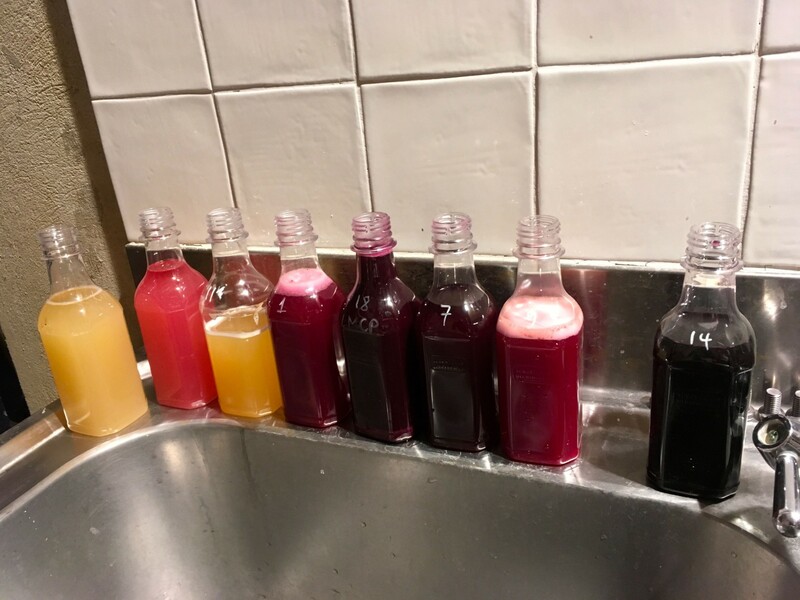 As the fermentations work through the last grammes of sugar, the wines already show great fruit intensity and slightly higher alcohol, balanced by our trademark acidity. The low yields and concentration have meant that over-extraction was a real fear in the winery, and the tanks have been worked with an even lighter touch this year to manage this. In conclusion, 2017 was really not a straight-forward season. The cold weather in late April set back plant growth, even on those plants that were not frosted, and the extreme hot and dry summer conditions blocked (or slowed) the vines biological maturity even though they encouraged high sugar levels early in the small-sized grapes. 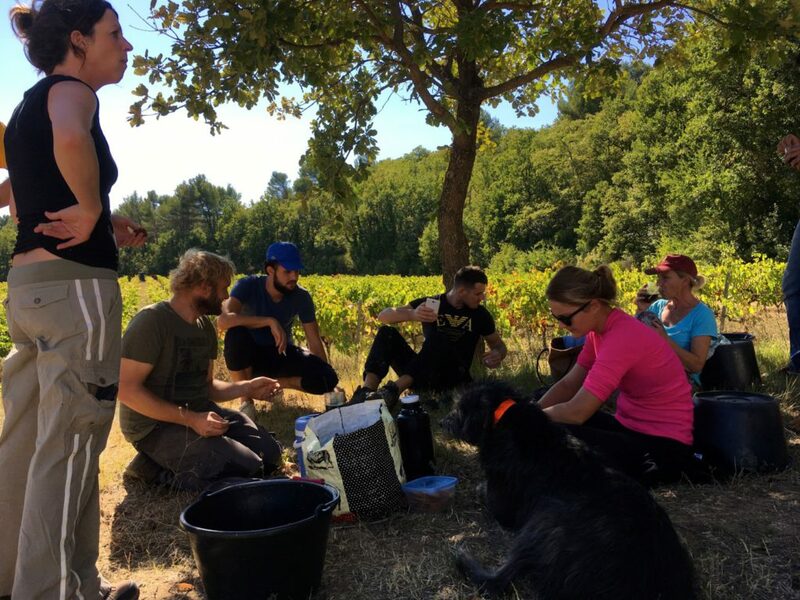 It was vital to hold off picking and wait for the maturity to catch up with the sugars – without letting the grapes over-concentrate in the glorious October weather we have enjoyed. This late sunshine has been double-edged, as we usually rely on October and November to bring decent rainfall – usually they are the wettest months of the year. October has though proved entirely dry so we are hoping that November will deliver, kicking-off a wet winter to refill the aquifers and relieve nature’s thirst. Outside of vines, 2017 saw Dominique ‘retire’ from full-time work at Unang. 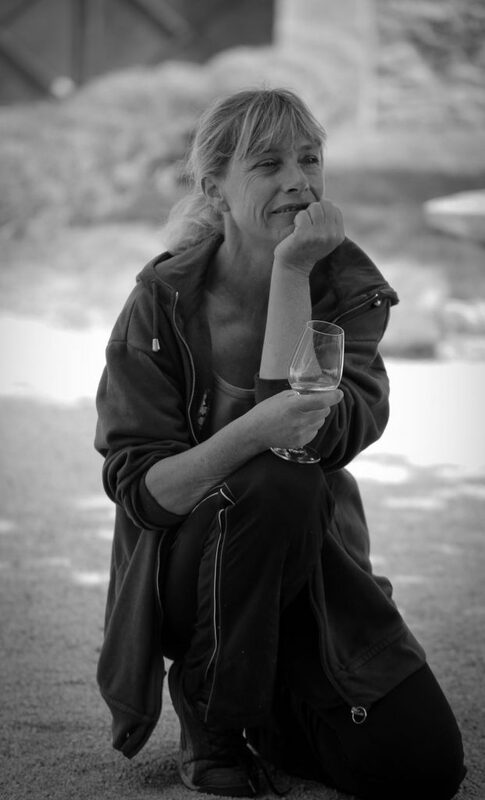 Many of you will have seen her at the cave and at markets over the past 14 years but Dominique also toiled in the fields and will be greatly missed having played a key part in resurrecting Unang. 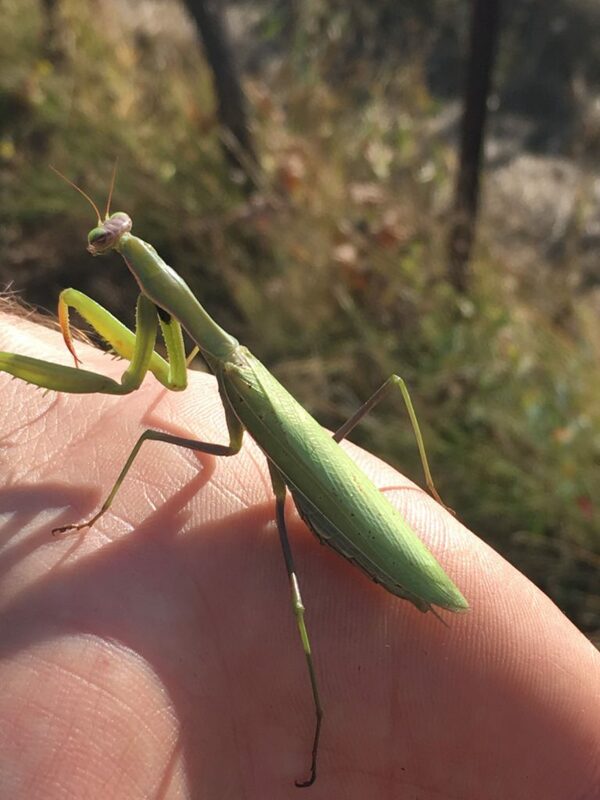 Happily she came back for the harvest and will again for certain other vineyard tasks. Thank you so much for an interesting update. I wish you all the best and hope for having an oportunity to taste your tastefull production this year too! All the best to you from Norway!!! Thank you Terje and the best to you as well. 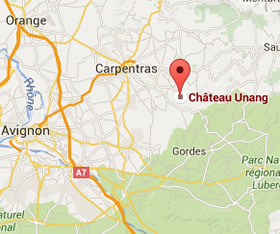 thanks for you very interesting article about your wine-house CHATEAU UNANG, winerwe have visited a year ago – hopefully it will rain plentifull during the month november, rain the region really need, as we learned this your while having vacation in Le Beaucet this year june and october ! My best wishes for the coming new wines ! Thank you – we are starting to consider rain dances to encourage the skies – there might be some this weekend – fingers crossed. Most interesting reading as we sit in the airport awaiting flight to marseille for a 2 week holiday based at the Provence Country Club, and with a trip to your cave for a tasting and sadly to purchase only a little wine! 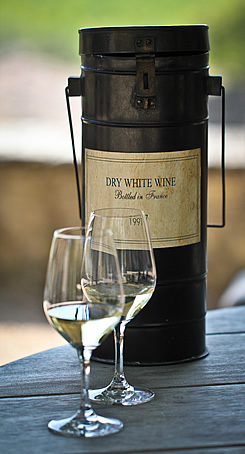 Look forward to showing you the wines and have a lovely holiday. Thank you so much for a really interesting insight into the challenges you have faced during the year. It has made me appreciate even more the wine from Chateau Unang I have in our cellar! Thanks so much for taking the time to write a comment – very pleased you are enjoying the wines – they are a labour of passion as you can see!